Electronic Cigarettes? Deadlier than Smoking! It is true, I mean I must admit that when I saw that cigarette I bought some for my parents, hoping this would be that thing that will make them quit. I was wrong, and I thank God my parents never really took it seriously. In the beginning I thought It was a waste of money and time, two months after, I started having my own doubts, hearing different theories about them being cancerous. Today, I have that proof and comfort that my parents never really touched it as THEY ARE TOXIC, even more than tobacco cigarettes. After reading this article, it makes perfect sense. 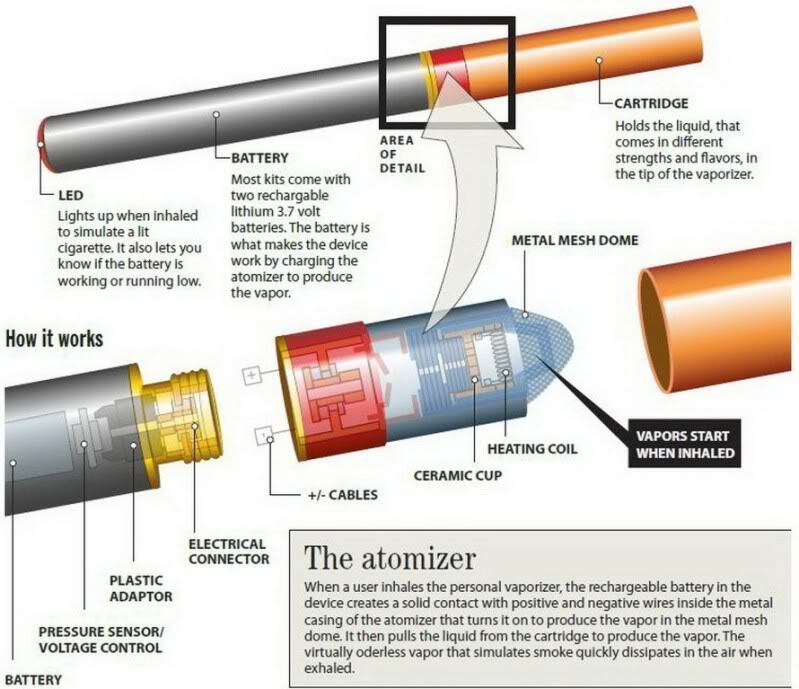 Think about it: You are basically smoking from an ‘electronic’ cigarette, smoking on a battery which heats up a liquid that contains a artificial flavoring. It is containing metals including tin, copper, nickel and silver, silicate beads and nanoparticles. I don’t know about you but that freaks me out, what this world has come to. To date, the U.S. Food and Drug Administration (FDA) has detected a potentially deadly antifreeze chemical called diethylene glycol in an electronic cigarette cartridge,2 along with tobacco-specific nitrosamines, which are linked to cancer. In the latest study, researchers hypothesized that since electronic cigarettes contain various metal components, so too might the aerosol that you inhale, and their hypothesis turned out to be right. Read the article, it’s mind blowing. Check it out, it’s worth the time.